Successfully Added Bluetooth Headphones Bluedio F800 - Active Noise Canceling Technology, Bluetooth 4.1, 650mAh, 57mm Drivers, Built-In Mic, 116dB to your Shopping Cart. The Bluedio F800 Bluetooth headphones arguably are the best headphones under 100 Dollars that you are likely to find. Featuring Active Noise Canceling Technology, these noise canceling headphones produce audiophile-grade sound quality no matter where you’re at. By measuring, composing, and reacting to outside sounds, the Bluedio F800 Bluetooth headphones cancel unwanted noise with opposite signals to bring crystal-clear sound effects. Added to that, these wireless headphones pack a bass boost system that makes sure that you’ll always be able to enjoy your favorite tracks in their original sound quality. Like most wireless headphones and headsets produced by this trusted headphone manufacturer, these wireless Bluetooth headphones feature a stylish and durable design. Crafted out of high-end stainless steel, these foldable headphones are extremely tough and created to withstand the rough environments of everyday life. The ear cushions of these high-end Bluetooth headphones have been padded with soft leather and memory foam, bringing along amazing comfort. Thanks to its foldable design, the headphones are extremely portable and can be carried around effortlessly anywhere you go. No matter where you’ll be heading next, with these noise canceling headphones, you’ll always be able to enjoy those all time classics in stunning audio quality. Packing two ultra big 57mm drivers, these Bluetooth headphones deliver a full range of sound in ultimate perfection. Capable of producing up to 116dB, you’ll be able to blast your favorite songs away and enjoy them to their absolute most. The volume of your songs can be easily controlled with the touch of a finger, allowing you to adjust it at any time to enjoy the ultimate audio experience. 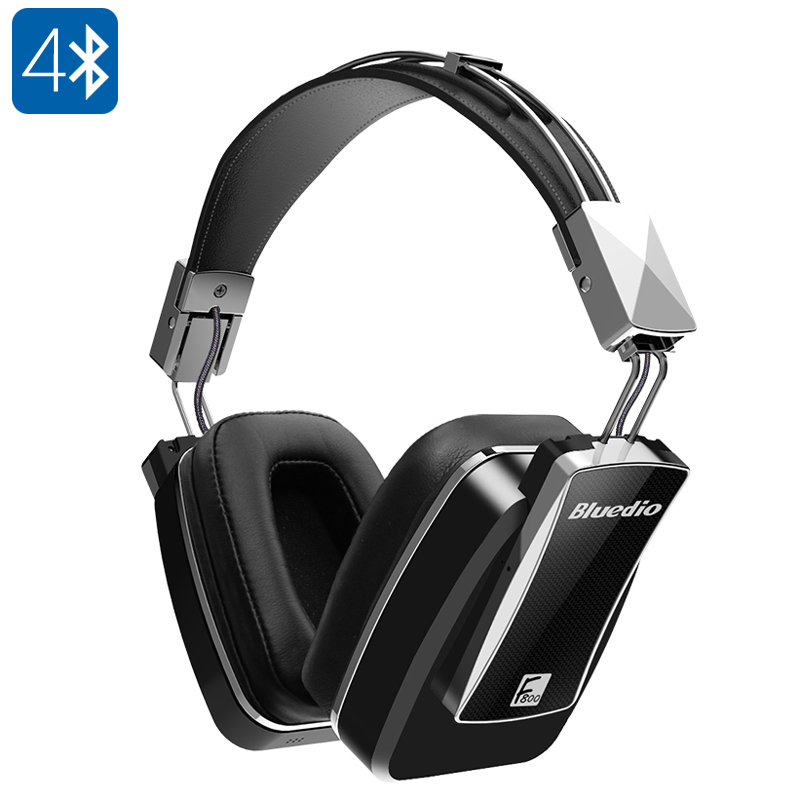 Supporting Bluetooth 4.1, these wireless Bluetooth headphones can be easily paired with your smartphone, tablet, or PC. Additionally, these headphones feature a regular cable output, allowing you to use them either as wireless headphones or as a regular cable headset. With its built-in microphone, these wireless Bluetooth headphones furthermore let you engage effortlessly in hands-free phone calls – bringing along great on-the-go efficiency. Packing a sophisticated 650mAh battery, the headphones can be used for up to a stunning 60 hours before needing to be recharged. Considered to be one of the best headphones under 50 Dollars, the Bluedio F800 certainly is a headset to consider if you’re searching for audiophile-grade music quality on the go. These wireless Bluetooth headphones come with a 12 months warranty, brought to you by the leader in electronic devices as well as wholesale electronic gadgets..